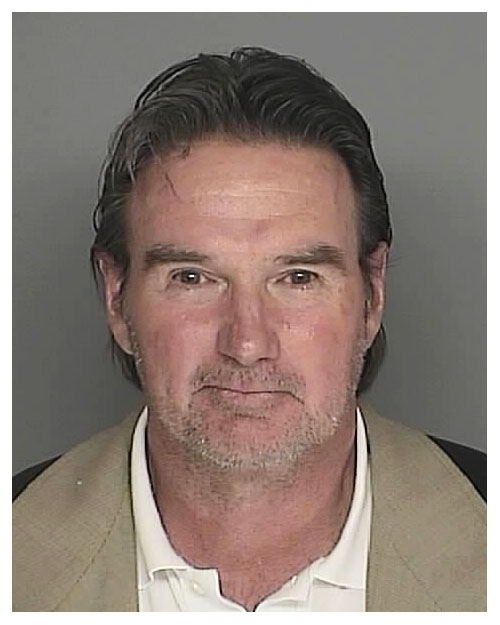 Tennis legend Jimmy Connors was arrested in November 2008 after he allegedly refused to comply with a police order to leave an area outside a California arena. Connors, 56, was nabbed outside Santa Barbara's Thunderdome, where the top-ranked University of North Carolina basketball team was facing UC Santa Barbara. Connors was busted by the university police and booked into the Santa Barbara County jail, where the above mug shot was snapped. Submitted by greglisi on Wed, 2011-03-23 16:15.